The San Juan clipper is helping with extra runs during normal weather but during the snowy weather the water taxi is running on reduced service. On Tuesday, February 12, the Marine Division will be operating its standard winter service between West Seattle and Downtown. This means one vessel departing the dock every 35 to 40 minutes will operate during commute periods only. The SR-99 closure schedule that has been operating since January 14, will be temporarily suspended to ensure sufficent staffing, and to re-direct resources toward facility maintenance and passenger safety ashore. King County Metro has activated its Emergency Snow Network(ESN). Ride2 West Seattle will not operate tomorrow. Routes 773 and 775 are scheduled to run tomorrow on a reduced schedule that will match Water Taxi departure times. The Pier 2 park and ride will remian open with shuttle service to the Water Taxi. Refer to the ESN website to determine which transit connections to the water taxi are in service as conditions develop. 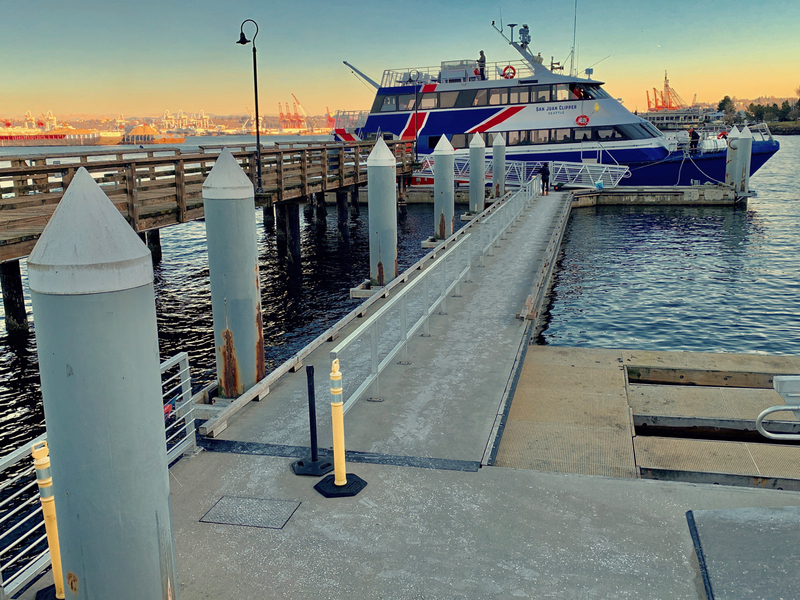 On Monday, February 11, the Marine Division will be operating its standard winter service between West Seattle and Downtown. This means one vessel departing the dock every 35 to 40 minutes will operate during commute periods only. The SR-99 closure schedule that has been operating since January 14, will be temporarily suspended to ensure sufficent staffing, and to re-direct resources toward facility maintenance and passenger safety ashore. King County Metro has activated its Emergency Snow Network(ESN). Ride2 West Seattle will not operate tomorrow and Tuesday. Routes 773 and 775 are scheduled to run tomorrow on a reduced schedule that will match Water Taxi departure times. The Pier 2 park and ride will remian open with shuttle service to the Water Taxi.